Type of works: design and manufacture of a Rapidplan 3000 fast-track school building. 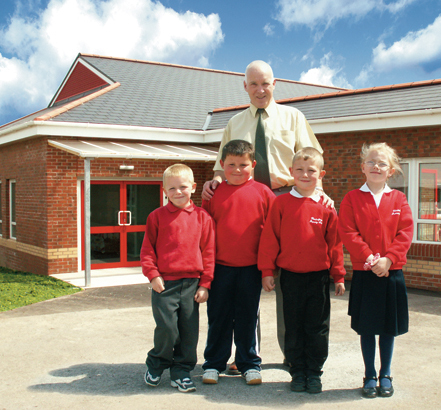 When Hendreforgan Primary School in South Wales needed more space in a hurry, Wernick Buildings had the right answer. With the Rapidplan 3000 modular building system, Wernick was able to provide a multi-purpose hall and three teaching areas that met the strict budget requirements of the LEA. The system, which offers rapid off-site construction using the latest energy efficient materials and a range of traditional finishes, is being used increasingly to provide day centres, schools, colleges and university buildings across Britain. Available for sale, lease purchase or hire, Wernick Buildings come as a complete design and build package.